Heidi from Rock Scissor Paper wants to share a photo of her bedroom wall. "It's the view from my bed that I look at each morning and each night." says Heidi. 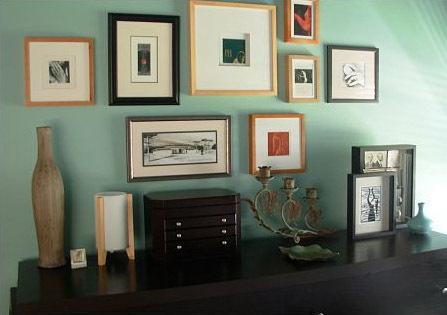 "I love looking at my artsy wall each day. Each piece has significance to me."